Can you believe it? I actually baked. Baking and yours truly? I think you know it. Not my forte. Neither do I have a burning desire, nor, like I have told you before, there are no takers for cakes or even desserts (Saffron Poached Pears, Honeydew Sago, Rava Kesari & Bubur Cha Cha) in my home. Not even me. Maybe every now and then, I craze, but that too is countable. Of course, the mood for baking (Marble Cake & Lemon Buttermilk Cake) does linger on my mind whenever I feel I want to break free from cooking the usual daily meals. On this day, I was so into baking (Baked Rice Pudding & Chocolate Tart) and specifically a Sujee Cake. Where did the recipe come from? Actually, to tell you the truth, I did refer to some recipes from my old recipe books (Cream Puffs) and of course, what is the virtual world for? Millions of recipes popping up the moment you search and seek online (Eggless Orange Cheesecake)? Still, somehow I am quite apprehensive when it comes to especially cake recipes from books and tell me about what can go wrong for online recipes. Thus, I actually was more convinced by this recipe handed over by my friend who does baking as her part time income. What I learned from her is that you need to soak sujee in milk for softening. Otherwise, sujee will remain grainy once cake is already baked. Made sense and I must admit its a crucial technic because, wouldn't you agree this Sujee Cake is really-really a baking show stealer? Cake sampled by colleagues and they couldn't agree more. So, guys, I will strongly suggest you grab this recipe of mine and I am really certain you will love this soft and melting in the mouth sweet non-sinful pleasure. Soak sujee in milk for an hour. Add essence, almond and sujee mixture. Fold/ gently mix to incorporate these ingredients inside. Put cake mixture into a greased pan. Bake at 170C for 1 hour 10 mins or until cake is cooked. HaHa, the first line speaks the truth but I really hope your sister-in-law doesn't know about your blog!! The cake texture is perfect , the color is divine, I have to say I'm drooling, I only got a cup of tea nearyby. The tip to soak sooji in milk, is a saver. Love the tieeny tiny pink candy flower at the top! How I wish I had a conventional oven at home to whip up such recipes, and answer back as to how it turned out. Let me get back to work and then will invest in one!! I think OTG should work too for such cakes, is that right? Sis in laws are smaller version of MIL, so it comes with that , and yes I hate it when husband praise someone's dish in front of all. I just can't take it, thank GOD that not the case with me otherwise he is in big trouble. halwa looks yummy, you should parcel this to your SIL. Suzi cake looks fabulous ! And all about sis in laws , I can't say anything coz I don't have one. But it's true that one can't impress a women relative from cooking. 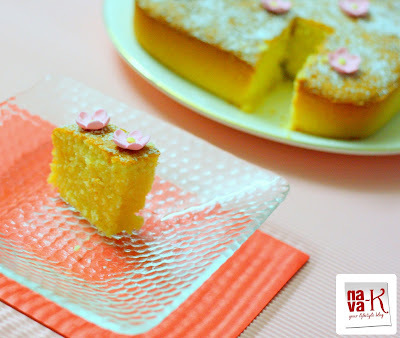 Nava, love sujee cake and your look fab. Lovely read. Hi Nava, I agreed with you regarding the SIL thingy. It happen to my family too whenever there is any gathering or potluck. The MIL and their husband all on their side... oh well, just close one eyes. They forget.. they also got SIL to deal with in their husband family. LOL SIL are the hardest person in the family to please, they are always on the right. Your sujee cake look so soft and moist. Thanks for the tips. The first time I made failed, second times too dry and grainy. Look like my 3rd attempt I shall try your method. Thanks for sharing your thoughts and you beautiful comments. Thavamani - will try a cake recipe without eggs and certainly to be share with everyone. wow.. Very tempting cake and beautiful clicks..I love your semolina cake... I am going to try it..
Ha haa SIL woes are very true !!! and men with booze don't care for desserts he heee..
looks very colorful and delicious! That's true Nava, Baking well needs practice, and you learn more from your mistakes than your successes. I have learnt this hard lesson after being gluten free. Your suji cake reminds me that I have to make Polenta cake. I will try the soaking tip. Oh this looks so yummy.lovely presentation. 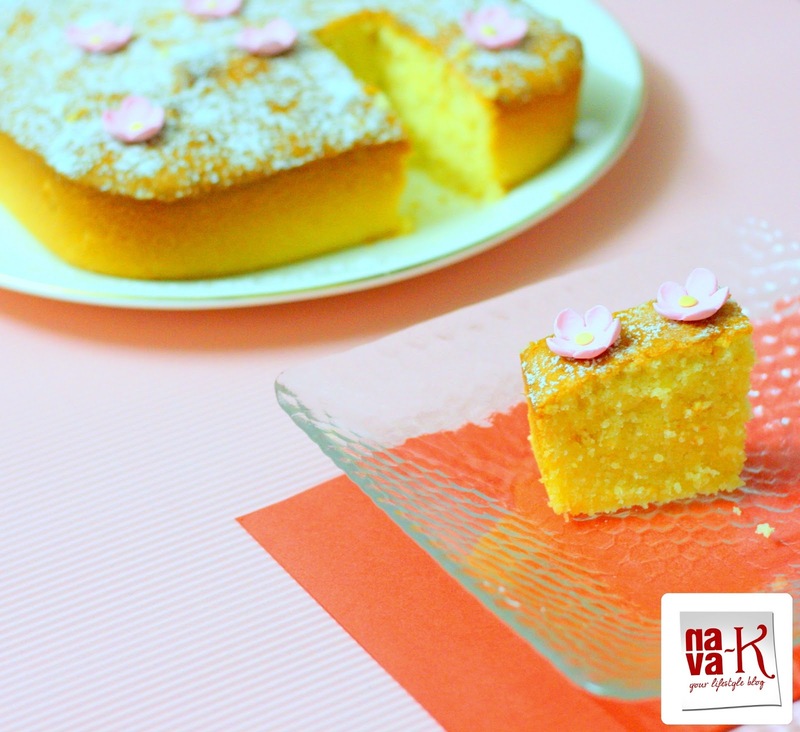 wow it looks very soft and spongy nava.. wish to try some..
Looks moist and the color so inviting :) need a fork now !! He he :) Loved that intro Nava :) Fortunately, my husband has two brothers only ;) The colour of that cake is so inviting. Lovely texture too! What a lovely color cake.....sujee makes it more healthy in place of fine flour. Love the amazingly soft texture of the cake. On my must try list. That's really nice that you took the task of impressing the inlaws, which can be challenging. I've baked this with mango in it, I might try it plain sometime. i will certainly give this a try. been baking quite a bit these days. Sujee is something I have never attempted. Ur cake looks soft n nice colour too. haa ha..so true of the big family . agree..one hundred percent. and ..wow!! yes, nice recipe, dear..thanks for sharing. LOVE this recipe...it's a keeper. I've tried it...so moist and tasty.....everyone loved it....thanx so much for sharing the recipe. Sorry, I don't have a recipe for an eggless sugee cake. But I do have a couple of eggless cakes recipes. Will post on my facebook page. Do Check out yea. 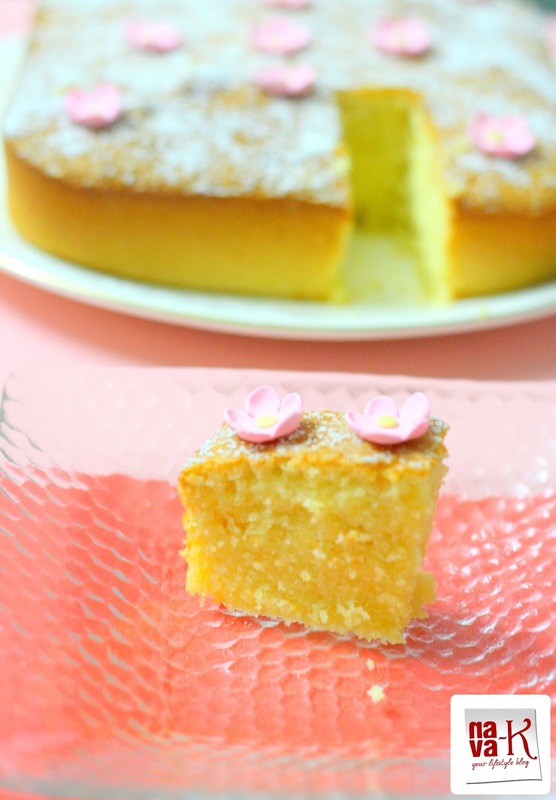 Waiting to try a Sooji cake soon and this recipe looks perfect for me ! !